Home Education B.Ed Punjab B.Ed Result 2018 – Announced! 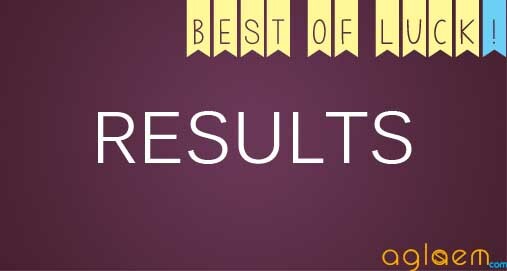 Punjab B.Ed Result 2018 – Announced! Punjab B.Ed 2018 Result– Punjab University has declared the result of its state-level common entrance examination meant for determining admission into the 2 year programme i.e B.Ed. Following its old trend, the university has declared the result in Online mode through its hosted link on the official website at results.puchd.ac.in. However, before the result announcement, the answer keys is released. Candidates will also get the chance to submit objections if any in online mode and express their valid concerns by given due dates for consideration of evaluation process. Each and every candidate would require to obtain a minimum percentage of marks to be declared qualified. The minimum qualifying marks required to be obtained in the paper can be around 15% for General category and 10% for SC/ST category (as per last year). Only qualified candidates will be asked to register for the online counselling process. Latest: Punjab B.Ed Result 2018 is now available. Scroll down to check the same. The 15% of reserved seats under quota shall be filled by the university as per Reservation Policy of the Central Govt. if one or two people get the same ranking in the list, the tie will be resolved using the inter-se-merit criteria. In the criteria, the first factor used will be (i) Higher percentage in qualifying degree and next will be (ii) Age order. The rest 85% seats would be filled by candidates within the Punjab state. Click Here to check the Punjab B.Ed Result 2018. Click Here to check the Punjab B.Ed Merit List 2018. Click Here to check the list of Rejected Candidates. Visit the official website i.e results.puchd.ac.in (link is available on this site). Candidates whose result is declared positive shall proceed to wait for online registration to begin from end of August 2018 at pbbedadmissions.puchd.ac.in. You would be allowed to provide a maximum of 10 choices in order of preference. Along with college selection, you will also select one subject combination. Only 1 online counselling would be held at Punjab University. For rest of the details, keep on visiting the website regularly. Be careful when you provide the name of the desired college. The choices would be available on the basis of selection of UG/ PG degree and selected teaching the subject. Also, take care of major/ minor subject combination while choosing college. Detail Marks Cards & Degree/s of all Examinations. Rural Area Claim (Certified by Dist. Education Officer), if any. The admission to this program in the affiliated colleges to Punjab UNiversity, Chandigarh, Punjab University, Patiala and Guru Nanak Dev University, Amritsar for the session 2018- 20 shall be determined on the basis of the relative merit attained by the candidates in the entrance examination. The admission will be subject to the verification of eligibility criteria and seats available in the colleges for the programme. The reservation policy would be applicable as per the rules of the Punjab Government. 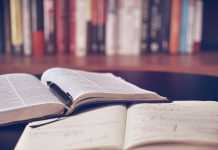 THe next procedure after the result declaration would be choice filling of colleges and major subjects on the performa prescribed for B.Ed admission.